Published: Dec. 27, 2017 at 09:50 p.m. Updated: Dec. 28, 2017 at 05:01 p.m.
James Harrison's exit was surprising to everyone but his teammates, who spent much of Wednesday's media availability slinging blunt takes about the departed linebacker, with some coming off more personal than others. Turns out, it was long overdue. That's the sentiment after Harrison's explanation Wednesday in a Pittsburgh Post-Gazette story, in which the linebacker said he asked for his release from the Steelers on three separate occasions during the 2017 season. The first came at the beginning of the season, when Harrison realized his role would be minimal. The Steelers eased his concerns for the time being, he said. The problem didn't go away, though. "I have to assume when they say you're going to get 25 percent of the snaps and you get 25, safe to say things didn't go as planned," Harrison told the Pittsburgh Post-Gazette in a story published Wednesday. "After the first week of the season, I said to them, it's clear you want to play your younger guys and I understand, so why don't you release me. You go on your way and I'll go on mine. They said, 'No, no, no, we got a role for you.'" For the record, Harrison, a by-his-bootstraps figure who was headed toward immortality among Steelers fans, has played in just five games for a total of 38 snaps. That's 13 percent of the season's total defensive snaps. At 39 years old, it's understandable for Harrison to question why he was even still doing this whole football thing, especially after he'd already retired once to spend more time with his family. Then came Week 15, and a heartbreaking loss at home to New England. Harrison didn't play a down in that game. "If I didn't play in the biggest game of the year, that told me I wouldn't get any more snaps," Harrison said. "So all that lip service you gave me before didn't matter." Harrison asked for a release after the loss, to which Harrison said Tomlin responded with "I'd have to be absolutely crazy to release you if something happened with injuries." Take a look at the top shots of James Harrison as the five-time Pro Bowler gets a new start in New England. It would make sense, then, for Harrison, a veteran being treated like a backup plan at best, to want to explore options elsewhere. Once granted his freedom, he didn't take long to do so, flying to Boston to meet with the New England Patriots shortly after clearing waivers. He admitted he was hesitant, because of the public perception of joining what Pittsburgh deems as the enemy. No team has stood in the Steelers' way of the Super Bowl more often in the last decade and a half than New England. 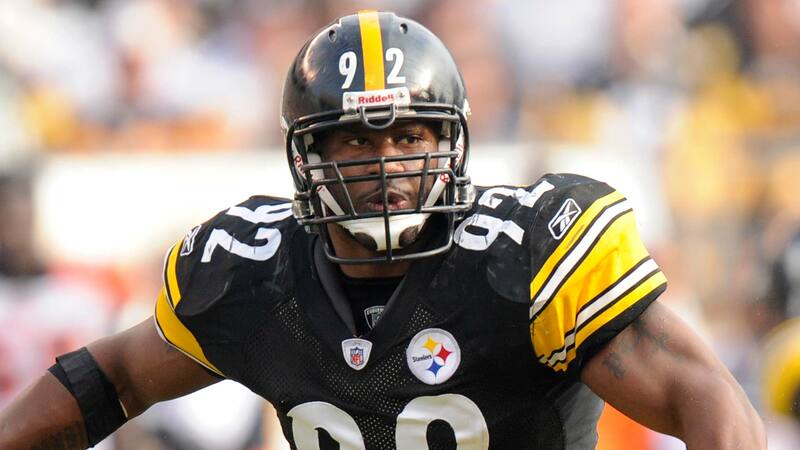 He even called Steelers linebackers coach and former teammate Joey Porter for his thoughts. The once-menacing defender with the signature leg kick sack celebration said he wouldn't stop his friend from making a business decision. After all, Pittsburgh had just made one of its own. The signing was vintage Bill Belichick, with some claiming it as nothing more than an intel grab. Who better to add to get information on a rival than a former longtime member of the organization? Hold out for the shots lobbed over the Appalachians by Bud Dupree. Harrison should expect to get more than 13 percent of the remaining snaps available in this regular and postseason. Some of those might come against the Steelers in a rematch in the AFC Championship Game. This rivalry didn't need another layer, but now that it's most definitely formed, we'll be waiting for potentially even more in January.